I was recently asked by a friend to recommend a CRM system for his business. 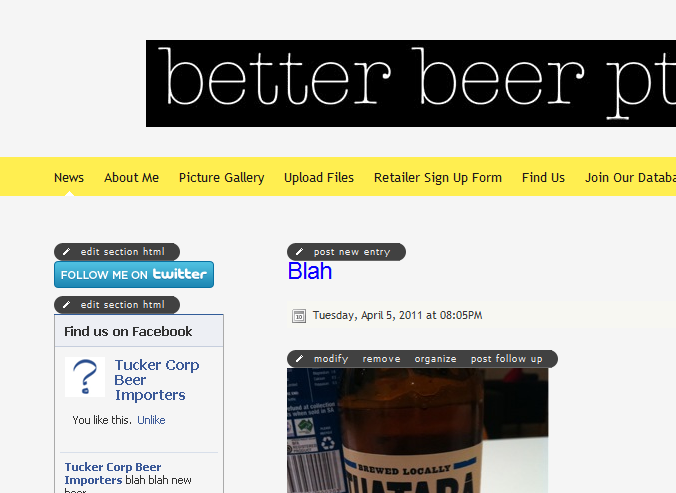 He is an importer of boutique beers, a one man band, who runs his business from his Mac on MYOB, Gmail and Excel. He also wanted advice on building a website. I reviewed Zoho, Sugar and Capsule CRM. And perhaps surprisingly, the one I liked is the one that on the surface looks the least functional of the 3… Capsule CRM. It meet the above requirements better than Zoho and Sugar and the UI was just a nicer place to be. Perfect for a CRM first timer. 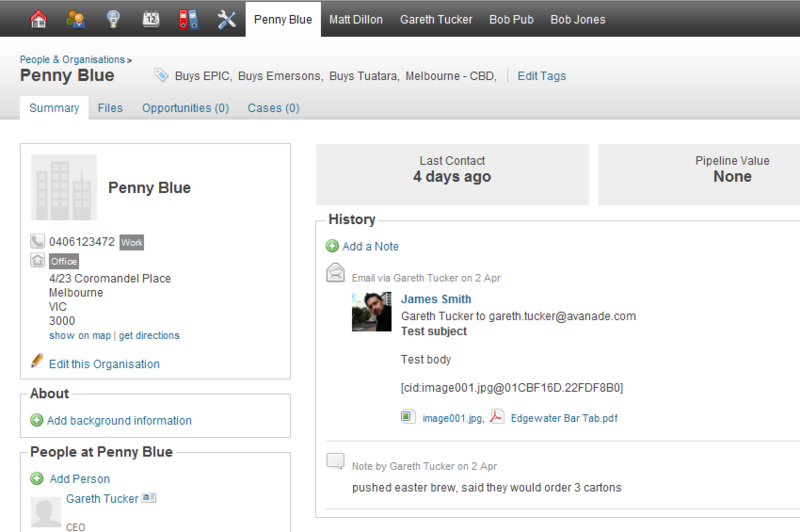 – I really like this app and I see an outfit has built Microsoft CRM integration for it, am going to look into that. Squarespace is exactly what I wanted. It’s a point and click website development tool, its hosted, its simple, has lots of built in functionality plus you can paste HTML code snippets in to add maps, twitter, facebook, etc. You have heaps of control around the appearance and style. It offers a blog post style design for uploading content or you can have static pages that you adjust through the editor. I though the blog post design was a bit strange for a website but I checked a few other customer websites in the same industry and that approach seems to be very common. What’s cool about it is the website owner can update the home page content of the website really easily. It’s simple point and click within the Squarespace editor or you can use their iPhone app, or you can just email your posts to a special email address. My friend wanted a Google map on his website showing all the stockists of his beer. The solution I found for that was this hosted service: BATCH GEO – and again, I LOVE THIS APP! 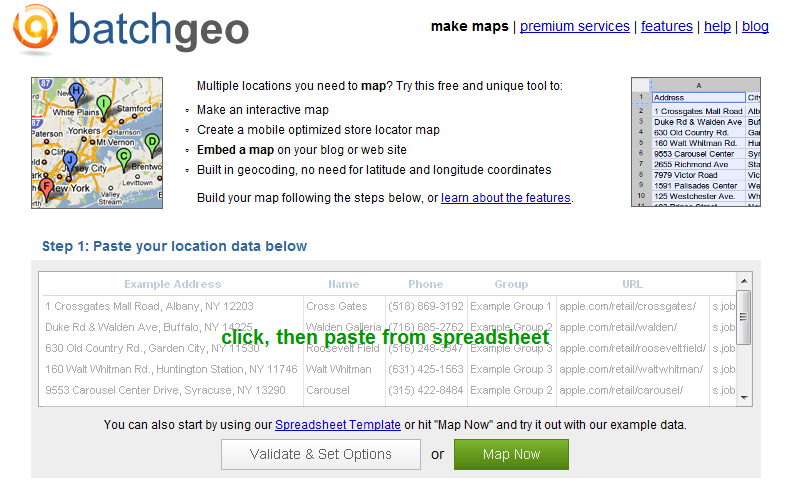 With Batch Geo you just go to http://batchgeo.com/ paste your address list from Excel directly into the web page, click a button and it will render a Goggle map for you and give you the HTML code to embed the resulting map into your website, all for $0. AWESOME! Ok, it’s a bit ugly but I have no HTML skills. 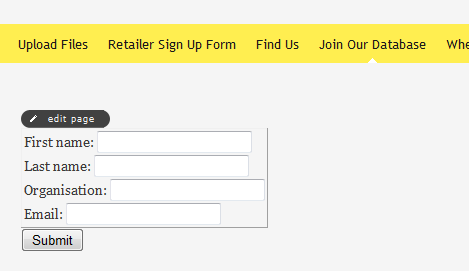 This little form adds Contacts directly into your CRM and they can be pre-Tagged with an identifier so you know their source. Pretty cool. The pricing option I opted for with Squarespace was their $22 / mth option. We haven’t progressed with Xero yet, but we will, costing there is $49 / mth. For those of you out there with similar friends and family battling away in small business world I can’t recommend these applications enough. Hope this helps. 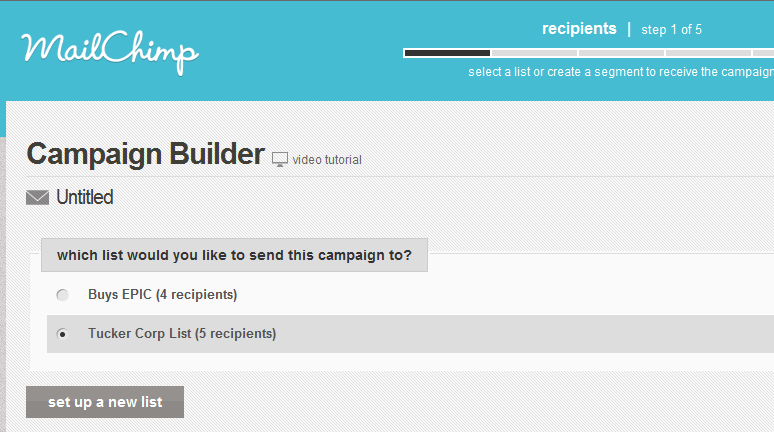 This entry was posted in Uncategorized and tagged Capsule CRM, Integration, Mail Chimp, Squarespace on April 7, 2011 by Gareth Tucker. thanks for your recommendations and supports. Great site, full of interesting tricks. Thanks for it. For a small business hosted crm, I gave a serious look at Capsule, and I was not too impressed. From the many I have examined, I liked Batchbook the most. I love this post in that it’s the same type of analysis I often do. And the rest of the blog (the “on topic” posts) are topics I love to read as well. Thanks.